Home How ToAndroid	How To Install GBWhatsApp Without Losing Chats/Media? GbWhatsApp is one of the loved and the most popular mod apps that is being widely used by millions of Android users across the world. We all are aware that GBWhatsApp is Unlike the official WhatsApp. It gives users more features than that are available in the original WhatsApp. Apart from features, GB WhatsApp allows users to use Dual WhatsApp accounts in a single device. One is the official WhatsApp and other being the GBWhatsApp. This means that you can manage two WhatsApp without the need for carrying a second device. This will make unique in your friend’s circle as you become smart with this move. If you like what we have said above, then you might be wishing to install GBWhatsApp on your phone by now. Before doing that you should know what you can do with the GbWhatsApp. So check out the features of GBWhatsApp. Better Privacy Options When compared to WhatsApp. Total control over the last seen status also you can customize it for individual contacts as well. Themes and customization: You can control the look and feel of GBWhatsApp to suit your tastes. More limit to transfer files and documents. These are only a few options that we can mention, but there are lot more features you can try it in GBWhatsApp. So you might be excited to install the GbWhatsApp app and become a pro-WhatsApp user. But like other Android apps, you cant download or get it from Google PlayStore as this isn’t available on Google Play. So wondering how to download and install it? Here we have listed the complete download and installation instructions in detail. You can head over to the guide and learn how to install it on your device. Before downloading and installing the GBWhatsApp take a backup of your chats by following the below steps. we have provided two methods that work very well for gbwhatsapp. Open your WhatsApp and click on the 3 dots and tap the settings options from the pop-up. Now head over to the chats option and tap on the Chat backup. Now that you will find options to store and backup your chats and media to your local storage and to your Google drive. Authenticate your Drive account to WhatsApp and backup your chats to Google drive. Install any popular file manager and app like ES File Explorer or any other native app provided in your phone. Now open the local storage and find the WhatsApp folder. Copy the folder to another location and back it up. Download the GBWhatsApp APK to your device Frome the below link. Now install the app on your device. 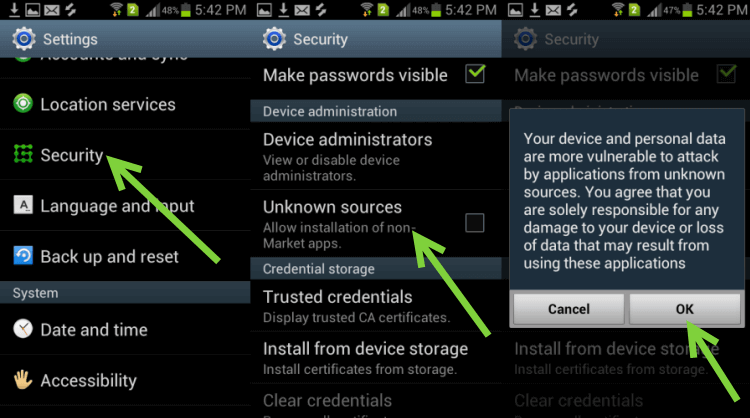 If you get a prompt blocking the install, open security settings and allow installation from external sources. Once done you can install it safely. Now rename the backed up folder as GBWhatsApp. While the app is being installed it will prompt you to recover chats from the backups. Click on agree and the rest of the procedure will be done by the app itself. Sync your account with your Google drive account. To do this go-to setting and then chat and chat backups. Now sync with Gmail and the app will recover your chats from the backup stored in the drive. So this is how you can recover your chats or install GBWhatsApp without any faults and trouble.